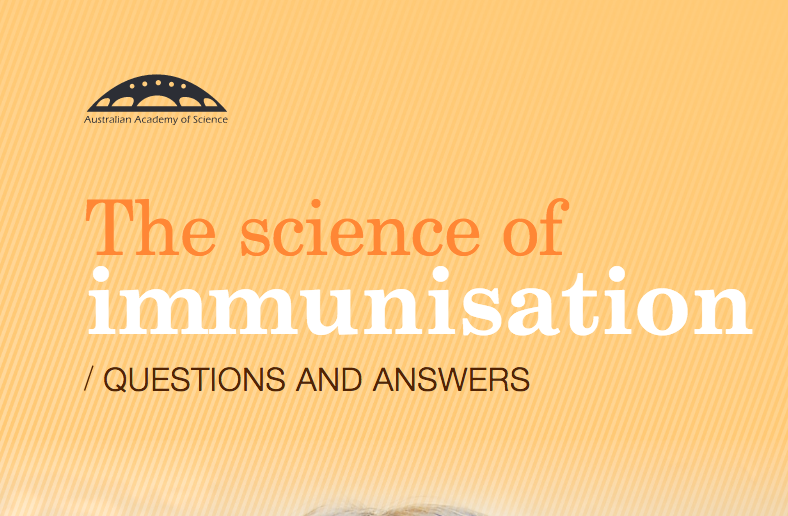 This 20 page document aims to summarise and clarify the current understanding of the science of immunisation for non-specialist readers. The document is structured around six questions. 1 / What is immunisation? 2 / What is in a vaccine? 3 / Who benefits from vaccines? 4 / Are vaccines safe? 5 / How are vaccines shown to be safe? 6 / What does the future hold for vaccination? This 72 page document provides clear answers to many common questions about vaccination. It is designed: • to help parents find out more about vaccines and the most recent evidence about their safety and effectiveness. • to help doctors answer questions from their patients. Questions: Why do we need vaccines? Why do all children need vaccines? Are the diseases we vaccinate against really serious? If the diseases are rarely seen, why do we still need vaccines? Why is ‘community immunity’ important? Do vaccines prevent death? Can our improved standard of living explain the reduction in disease? Why do children get more vaccines now than they did when I was young? Why should I be vaccinated while I’m pregnant? What do vaccines do? How do vaccines work? How well do vaccines work? Can vaccines cause or spread disease? Is immunity from vaccination as good as natural immunity? Can immunity that comes from vaccination wear off? Does the influenza vaccine cause influenza? Do homeopathic vaccines work? Are vaccines safe for my child? What side effects might occur with vaccines? Do vaccines cause or worsen asthma and allergies? Do vaccines cause autoimmune diseases (like type 1 diabetes, Guillain–Barré syndrome, multiple sclerosis and rheumatoid arthritis)? Do vaccines cause seizures? Do vaccines cause sudden infant death syndrome (SIDS)? Does the human papillomavirus (HPV) vaccine cause rare syndromes or problems with fertility or pregnancy? Does the measles–mumps–rubella (MMR) vaccine cause autism? Does the pertussis (whooping cough) vaccine cause damage to the brain or nervous system? Does the rotavirus vaccine cause intussusception? Can my child be vaccinated and when should they be vaccinated? Can my child still be vaccinated if they have allergies? Can my child still be vaccinated if they have a genetic polymorphism? Are vaccines permitted (kosher) for observant Jewish children? Are vaccines permitted (halal) for observant Muslim children? Is it safe to give my child more than one vaccine at the same time? Can I space out or delay some vaccines given to my child? How are vaccines made and tested? How are vaccines made? What ingredients are in vaccines? Do vaccines contain aluminium or mercury? Are vaccines properly tested and monitored? Are some vaccines made using fetal tissue?